With the start of a new year we are happy to announce our most exciting feature called the “Social Networking of Money”. So what do we mean by social networking of money? On clicking “Add”, the system will add your friend and send an invite automatically if the “Send an invite” is selected. The “invite” button on the grid disappears after your friend has accepted the invitation. If your contact has not accepted the invite yet, you can send a reminder by clicking on the “Invite” button. 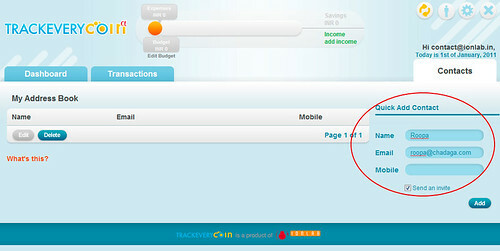 After you share the expense, an email is automatically sent out to the person you shared the expense with. The expense shows up under his/her “I Owe” block and you can track it under your “Who owes me” block. 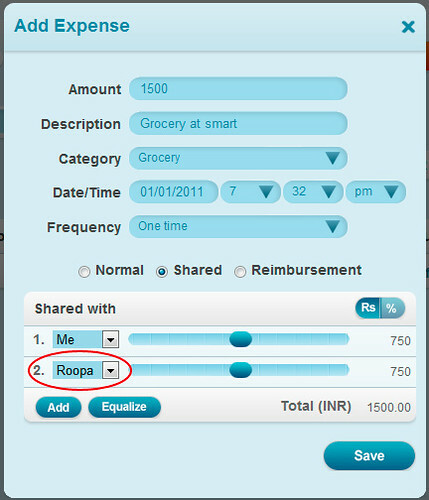 This networking feature is a hassle free way of sharing expenses with friends. 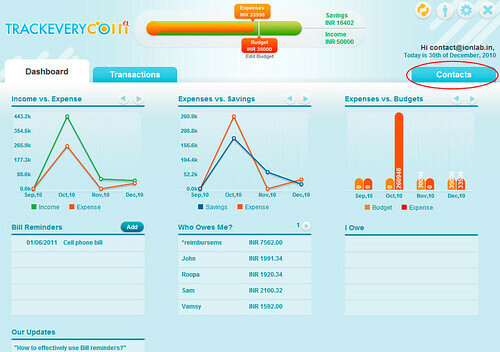 So now with Track Every Coin, you can not only track your own expenses but also split bills with friends.